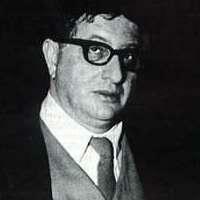 No composer contributed more to film than Bernard Herrmann, who in over forty scores enriched the work of such directors as Orson Welles, Alfred Hitchcock, Francois Truffaut, and Martin Scorsese. From his first film (Citizen Kane) to his last (Taxi Driver), Herrmann was a master at evoking psychological nuance and dramatic tension through music, often using unheard-of instrumental combinations to suit the dramatic needs of a film. His scores are amongst the most distinguished ever written, ranging from the fantastic (Fahrenheit 451, The Day the Earth Stood Still) to the romantic (Obsession, The Ghost and Mrs. Muir) to the terrifying (Psycho). Film was not the only medium in which Herrmann made a powerful mark. His radio broadcasts included Orson Welles’s Mercury Theatre on the Air and its most notorious presentation, The War of the Worlds. His concert music was commissioned and performed by the New York Philharmonic. As chief conductor of the CBS Symphony, Herrmann gave important first performances of music by such composers as Ralph Vaughan Williams and Charles Ives, whose work he particularly championed. It seems fitting that a composer who blazed new trails in electronic media of the 20th century – radio, cinema and television – is finding fresh appreciation in the age of the internet – a time when Herrmann’s influence on the art of dramatic music continues to grow.